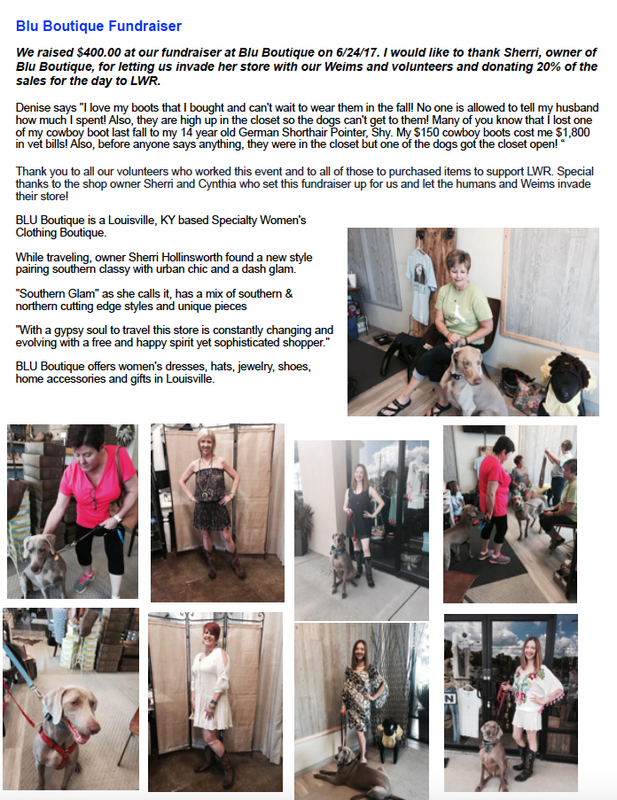 CONTACT US | Louisville Weimaraner Rescue Inc.
Louisville Weimaraner Rescue, Inc., (LWR) is a non-profit, 501c3 organization run entirely by volunteers to rescue stray, abandoned, and relinquished Weimaraners in Kentucky and Indiana. LWR has been working to provide “forever homes” to these Weims-in-need since 1997. For general questions about Adopting, Surrendering, Volunteering, or Fostering with Louisville Weim Rescue, please complete the following form. In case of emergency, you may contact the following.